Rather than write lots of separate posts, all published within an hour of each other, I think it would be more worthwhile to round up the past fast-paced and busy week in one post! September has indeed started fast from the gun, and there is plenty to write about already. I mentioned in my last post that I revisited my former weekly long run spot. The route involves running up “the mountain.” Compared to some of the elevations I surely witnessed in the Pacific Northwest, this is not exactly a “mountain.” But, as I like to say, if it has a name, it can be considered a mountain. So, it’s a mountain if I say so. 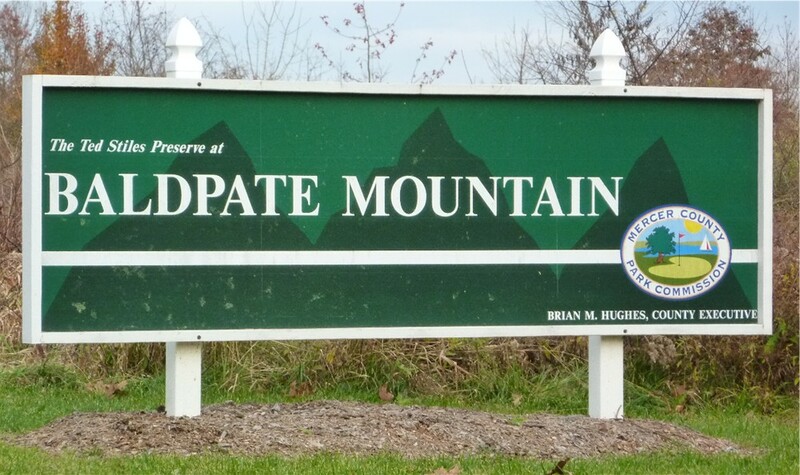 It was a nice, humid run up Baldpate Mountain, 10.00 miles even. It was my first time running up there with a Garmin, which was fun to analyze later. 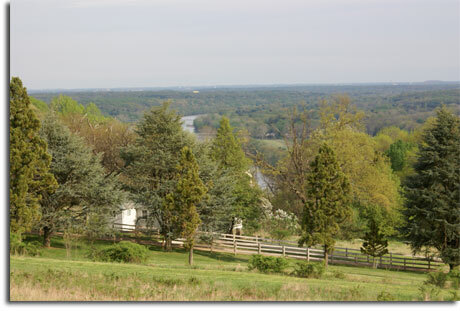 The view at the top was clear that morning, and I could see for miles across the river into Pennsylvania. (Side story: for years in college, I would say how I wanted to go on a picnic-date up there, and I finally did two years ago…except we missed the sunset due to an impromptu dog rescue, so it was very dark. Oh well.) One of the best parts of this run was that I started before 8 AM, and was even able to do some barefoot strides on the grass after, all before a busy day at work! I loved being able to say I ran ten miles up a mountain before work. It just makes everything after so much easier to handle. 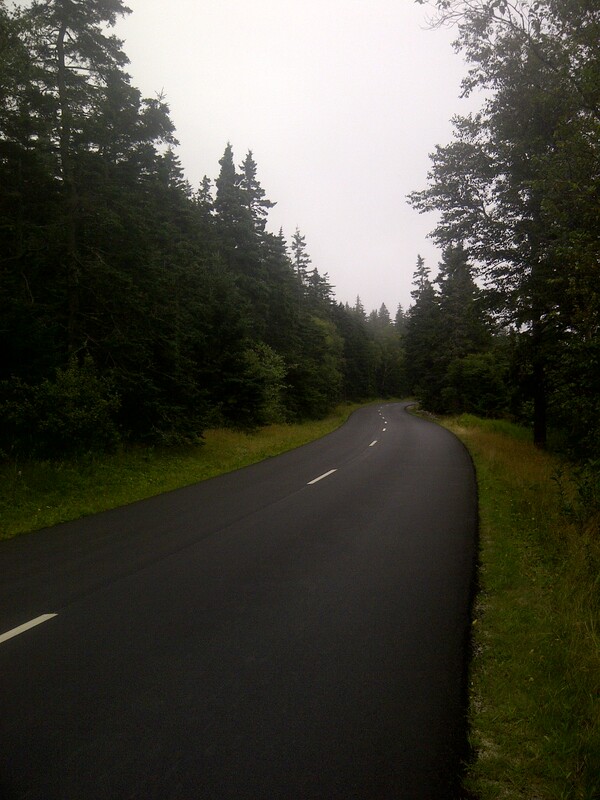 Here are some photos of parts of the route…(not mine). The Intervals workout this week was 6 x 1000. I have done a variation of this (usually 4 x 1000 or 5 x 1000) several times in high school and college, on both grass surfaces and the track. I’ve always just tried to get around 4:00 or just under. I don’t remember ever averaging under four minutes, though, and I never did six. During this workout, however, I averaged 3:52 and I didn’t even feel as if I was giving it 100% (note: I am slightly concerned about my right hip flexor…there is no pain at all but I’m the most paranoid runner in the WORLD, I swear). That is a good feeling, to feel like I can hit those times with so much less effort than 4:00+ used to feel. In case you didn’t follow on Twitter, Wednesday Oiselle strutted their stuff on the RUNWAY at Nolcha Fashion Week in New York! This is exciting stuff – real athletes as models is a dream come true! I was more excited to see Lauren Fleshman, Sarah Mac, Kate Grace, & the other Oiselle gals than the new clothes themselves. It was a “I know you!” moment (as in, I’ve talked to you/met you, you may not remember this happening at all but I do…). And Sally, looking like the proud mother behind the scenes! Lauren looking fantastic after having baby Jude! I’m trying not to think about the possibility that I could have maybe, possibly attended the after-party…because that would be too much awesome to handle. And I don’t have anything to wear (actually just kidding, I could conjure something probably. Just not anything like Fast K8’s shoes). 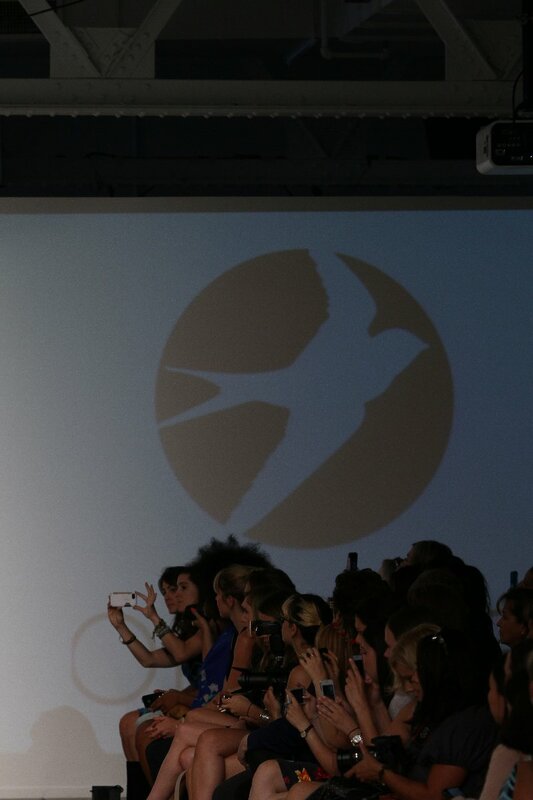 You can view all of Oiselle’s runway photos here. I can register for Boston tomorrow (well, today, at this hour)!!!!! I could have registered Wednesday had I ran two seconds faster…but it’s okay. Because now I get to register on…. YES THAT’S RIGHT, I GET TO GIVE MYSELF THE GIFT OF THE BOSTON MARATHON ON MY BIRTHDAY! Never mind that my birthday is on Friday the 13th…that’s just typical of the kind of things that happen to me. Rather fitting. I am okay with it. 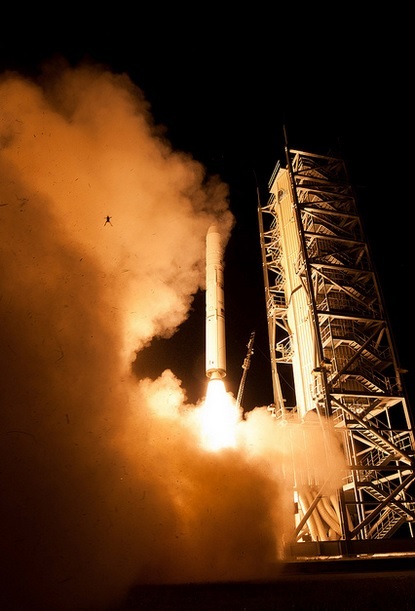 Mind blown by this NASA frog photobomb right now. It’s kind of creepy that it looks like a person though. And then I think of how the frog definitely did not make it. So, on second thought, it’s actually quite disturbing. Sitting in the front yard? Sunday: off, drove for 12 hours and got exceedingly stiff. No fun. 😦 I didn’t feel too bad from the 5k Saturday though, at all. Monday: I ran about 6.5 miles from the house we were staying in; some gravel road and some uneven paved road. I tried to take it easy and hardly looked at my watch. In fact, I turned off the tones so I wouldn’t be aware of each mile split, and I’ve been enjoying it. 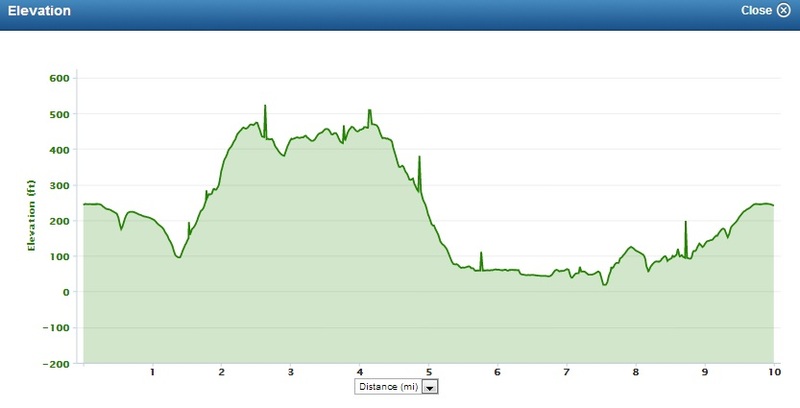 My splits (with rolling hills) ended up looking like this…. Oh, and the weather was nice! In the afternoon, I decided to take my Garmin on a kayaking adventure… apparently you average 22 minutes per mile when you try to kayak in whitecap waves…needless to say, it was a bit too windy to be out there, so we turned back. Tuesday: I biked 26 miles in ~1:44. I went to Schoodic and took the road through Acadia, which was nice and smooth. Unfortunately, there wasn’t much of a view…just fog. I averaged 19-20 mph on the roads I think; I was extra careful with my tires on the dirt roads to and from the house. 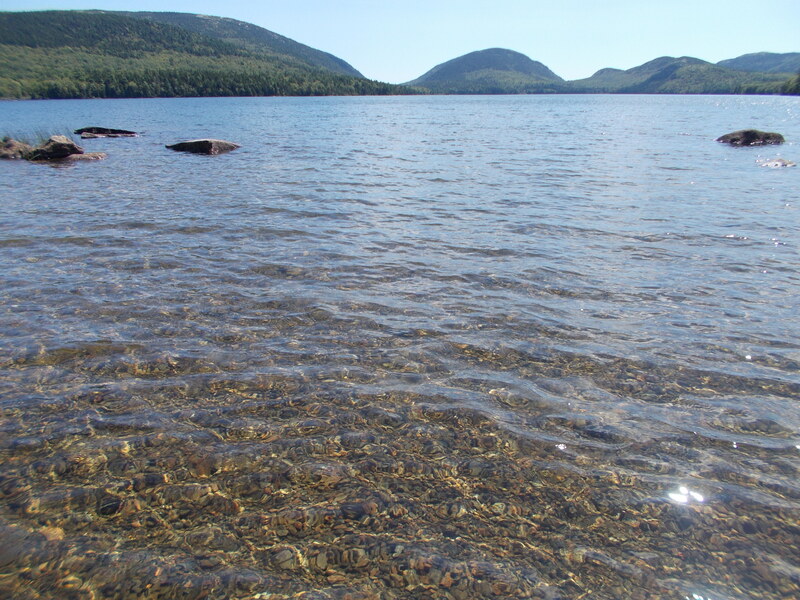 Wednesday: I took off from running and biking and hiked a couple hours up some mountains in Acadia on Mt. Desert Island. Thursday: This was the best day…I roped my uncle, aunt, and brother into a trip to Eagle Lake for a run. I ran ahead while my aunt ride her bike on the carriage trail, and my brother and uncle ran about a minute per mile slower behind me. I went into this run unsure of how I’d feel…and almost preparing for the worst. I was relieved to feel somewhat normal, just tired. See, I’ve been feeling something not right in my ITB since probably Monday, the same feeling of a knot in the surrounding quad muscles as I had before the triathlon. I think I’ve concluded that it is just bruising from breaking up scar tissue with my roller. Which leaves me with a dilemma, because now I’m not sure to roll or not to roll….Anyway, I ran 9 miles – farthest since the marathon (and injury, obviously)! Friday: Morning ITB PT, afternoon bike. Saturday: Easy 3 miles on the dirt road before driving back to NJ. It was a rather productive first day back, despite feeling…well, not very well. The ITB bruising has gotten worse, and there is still a definite knot in my lateral quad. It doesn’t bother me when I’m actually running, which is really good. I just can’t decide if I should continue being a masochist for my own good or not. It’s confusing. Because the “knot,” to which the area will hereafter be referred, felt so weird in the morning, I decided to run later. In this case, my situation was #3. 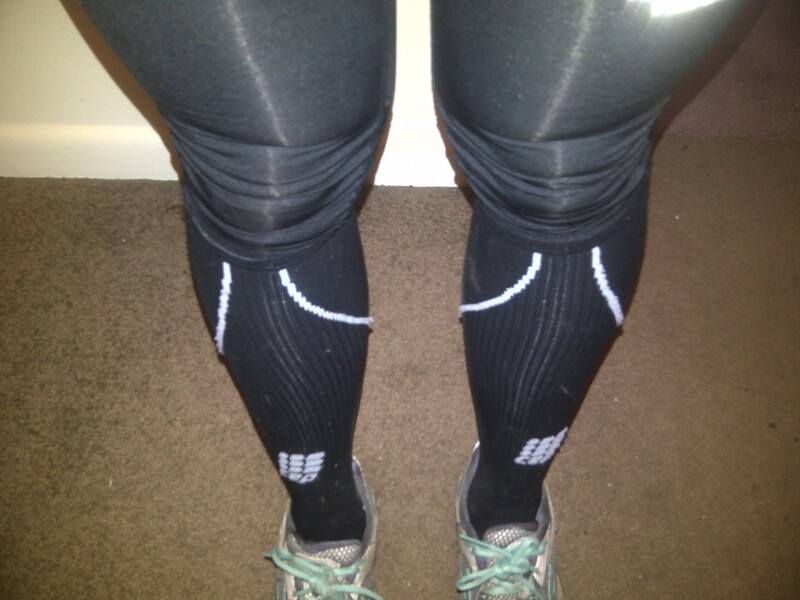 I just needed time to address the bruised-ITB-quad situation before heading out for the run. Also, morning yoga was free. Afternoon yoga was not. I just did 9 miles Thursday so I figured I would just do that again, and my Thursday + Sunday would somehow even out to “normal” mileage? Basically, I wanted to do about 9 miles. End nonsensical pre-HTC post-injury banter. I went to yoga in the morning, then cleaned and organized my entire room, then set off for Six Mile Run around 5:00 PM. 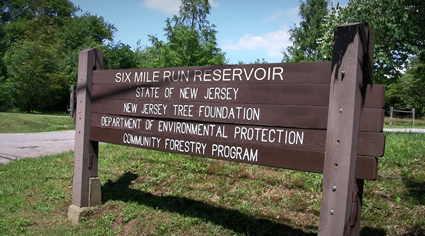 Six Mile Run is a park worth its own post. I first ran there during cross country preseason in August 2010, and have been back in December, and today of course. I only didn’t get disoriented there once. Guess which time? The first of course. Makes no sense. I think the fourth time will be a charm though – I figured out there is no hope at the end of the red trail! I found some new trails across a road today, though, which was fun. They didn’t give me much trouble. I got a little sucked in and wanted to go farther and farther, but made myself turn around at about 5 miles just in case the disaster that was December’s run happened again. 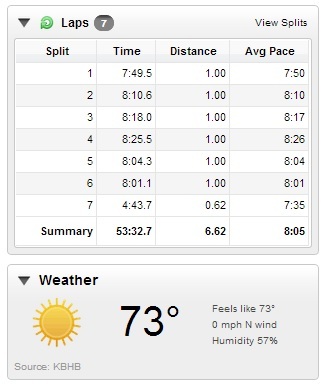 That day, I intended on running 7 miles…and did about 14. For a cautious runner like me, that’s not cool. 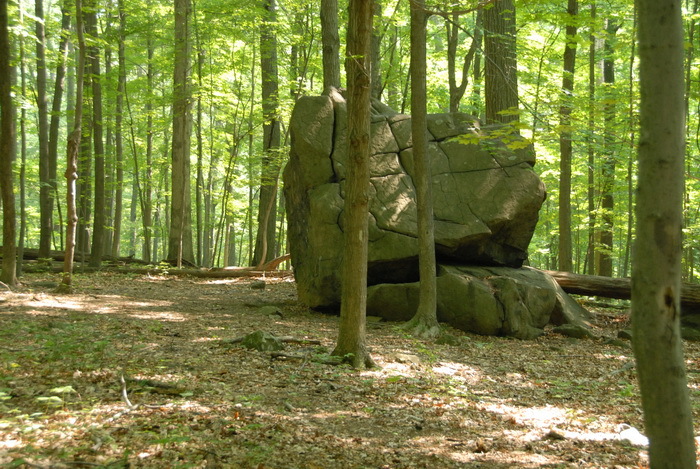 The coolest thing about the park is that you feel like you can just…roll. There are so many little ups and downs and boardwalks and other strange bridges. Parts of the trail are like rollercoasters. This is also the reason I almost got run over my mountain bikers, but hey, there was only one occurrence! Apparently mornings are the peak time, so I’m glad I avoided that. Not my photo – phone camera was being weird. It also wasn’t sunny today. 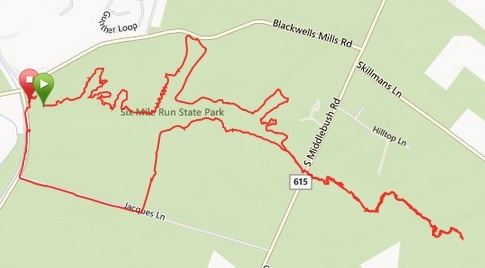 Park trail map. I don’t think I’ll forget that the red trail dead-ends anymore. Although it also ends up back at Canal Rd. mysteriously, so…might have to get to the bottom of that someday. I believe only one run stands between me and Seattle (OMG OMG OMG)! 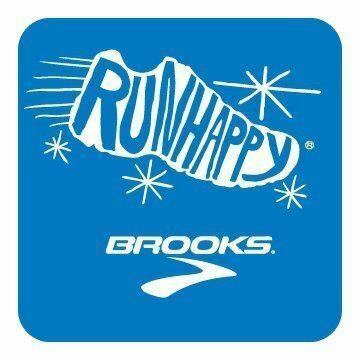 The plan is to cross train Monday and Tuesday and also do the Intervals workout Tuesday night. Wednesday will be a travel day and then I’ll be off on my Hood to Coast adventure! As for the bruising I’ve inflicted…well, I’ll just try to find a happy medium and throw some ice on that. 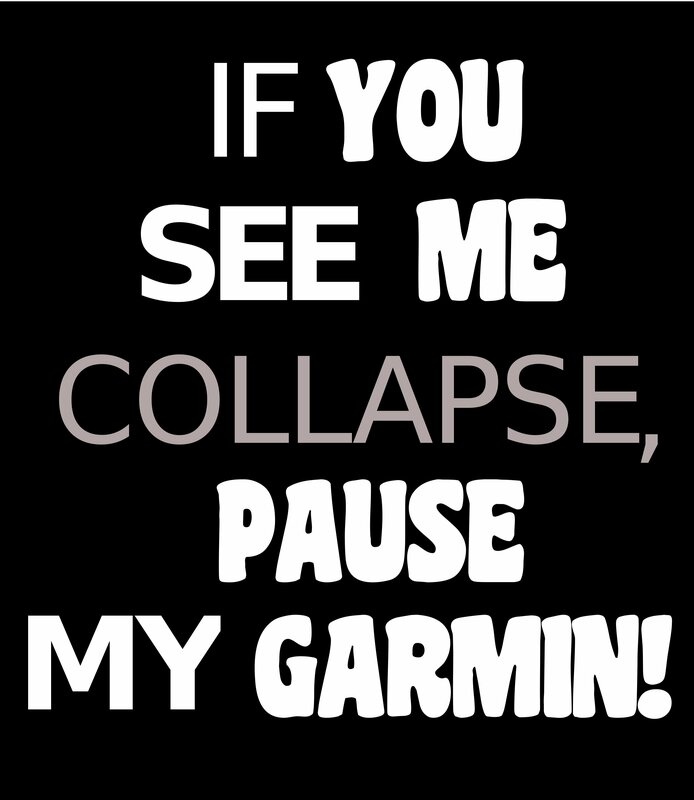 ALSO, I NEED GARMIN HELP!!! Maybe somebody can help me, even though every blog and manual I’ve read so far has not. I have a Garmin Forerunner 210. I got it in April, but because I haven’t been able to do tons of workouts between now and then, I’m just getting around to seriously answering this question now. What I want to do is what I do with my simple Timex: have the time running, press a button to take a split, and see the current time for that split. I know how to take a split on the watch, but I only see the total time on the screen. I can go online later and view everything, but I’d like to view it at the time. So, it seems like I’m actually having a display setting issue – the watch will do what I want it to, just not show me what I want to see. I’ve tried playing around with everything and can’t figure it out. I can program in a workout, but how often (when I’m with a group) do we actually take exactly 2 minutes of rest, or the loop is exactly 0.6 mile, or something? It should not take me until I am about to go on my long run to write about the previous weekend’s long run. But it did. So be it. I promise I won’t become one of those…but Garmins are so cool. I had a little trouble recovering from the half marathon. Overall, I felt just fine, walking around and everything, but when I went to run on Wednesday, it was the most tiring run since I had an iron deficiency. I wasn’t worried though, I just thought it meant I raced hard. Friday’s run went better, and I wore the Garmin again. I know I have the tendency to become a stat junkie, but I promise when I actually get my own Garmin I will only make note of the overall pace! I was really curious as to how well I have been estimating distance on a mixed road and trail run…for…five years? As it turns out, I have been pretty darn accurate. My splits on the 7.23-mile run were 7:35-45 on the road portions, and 8:10-20 once I was on the trail (which was rather muddy). My first observation: that’s a big difference! I guess I thought I was running more 7:50 on the road, 8:10 on the trail to average 8:00. My “dividing by 8, 8.25 on a bad day, 7.75 on a good day” method (runnerd alert) has been a very close estimation on these hybrid runs, which are most of my runs. My second observation was how much faster 7:35-45 sounds than it actually felt. Maybe 7:40 is the new 8:00? 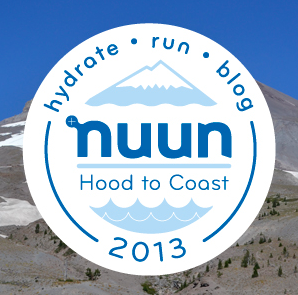 (Insert continued crazy runner thoughts about the M word….) So, that’s my little “omg, Garmins are cool” spiel (I just learned the spelling of that word now, how cool is that). Moving on. I have been pretty disciplined since December in terms of sleeping and hydrating the night before my long runs…but I decided to cut myself a break for once, one week post-race, to not worry too much about it, and “run whenever.” As in, not at 6:15am, which is when a small group was meeting (long story…so freaking early). To cut to the chase/skip a lot of non-running related detail, I ended up running at 10:45 with a new running buddy. I didn’t have work so the time was no big deal, and I’m actually glad I got to enjoy the best weather of the day, after extra sleep! I didn’t have the Garmin anymore (it isn’t mine, after all…), and I didn’t map a single thing. Time to have some fun. 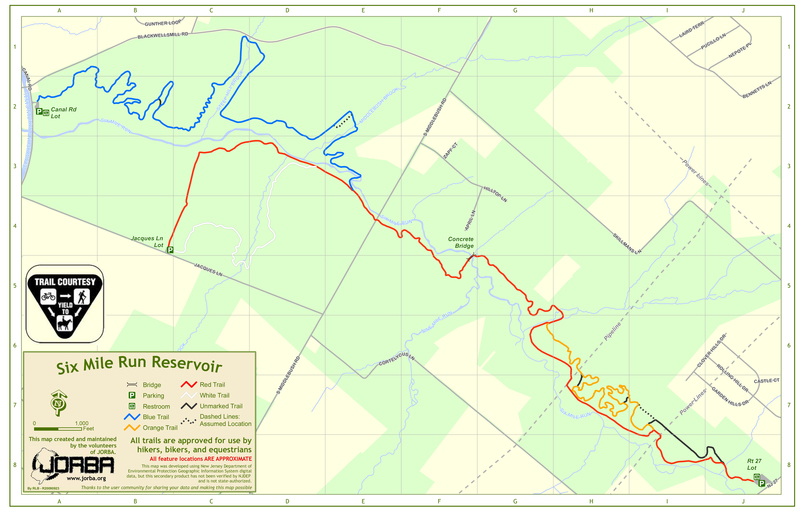 We hit up Witherspoon Woods first, then cut out to Pretty Brook via the boardwalk (tangent: when I type “Brook” I accidentally write “Brooks” first by habit and have to go back and delete the “s”…every time). 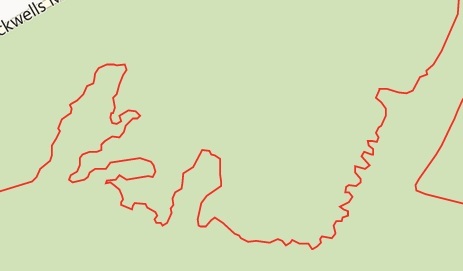 Pretty Brook, as a loop, is about 7.5 miles, so adding that in the middle was sure to add distance easily. 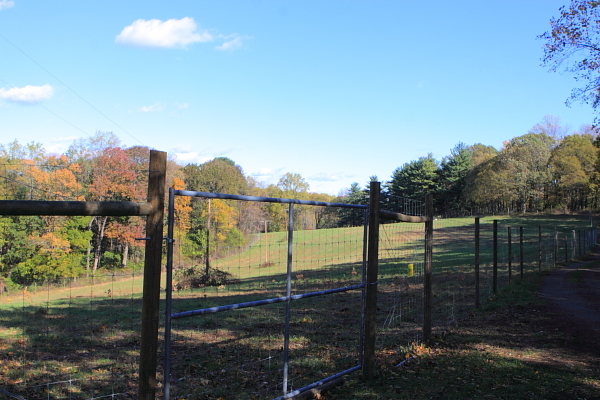 I usually run this route in the dark, so it was strange to see the huge houses…and see the hills coming. And…a sign that said something about “recreational paths”?!?! Finding new trails is probably one of the most exciting things ever for me. We weren’t expecting much when we decided to check it out, but we were pleasantly surprised! The area was much bigger than we imagined, and we found tons of well-marked trails! There was a landmark called “Tent Rock,” which we tried to find desperately, and did, but they all kind of looked like tents at the time in their own ways….They first time on a trail is always the best, because the ground in front of you is ground you have never set foot on before. You have no idea what’s coming. 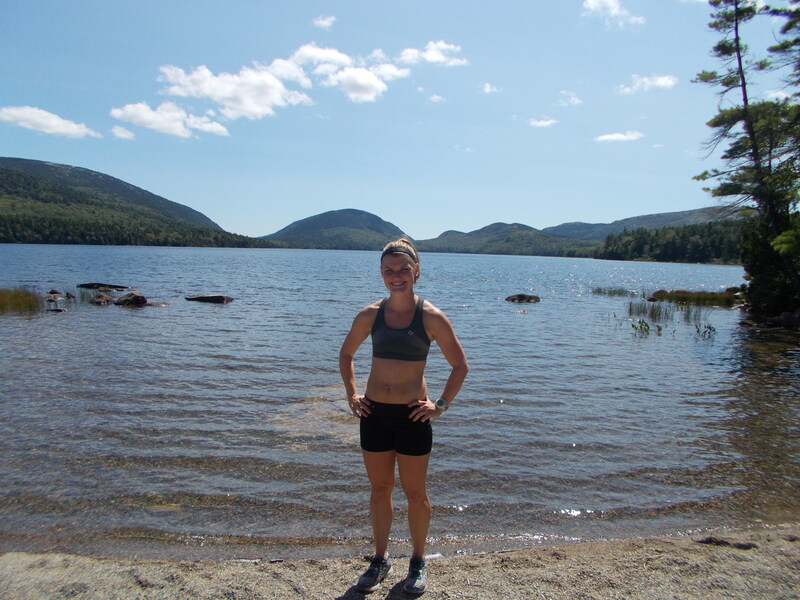 I can remember every run during which I discovered trails, and they were always awesome runs – how can they not be? Spoiler alert (scroll down for map). 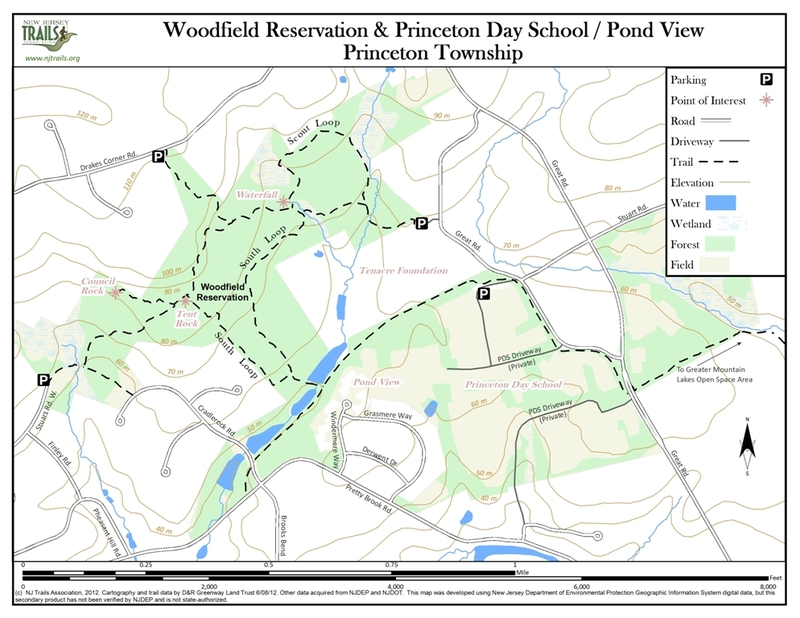 I did some searching later and found that the trails actually had a name, the Woodfield Reservation. Part of me doesn’t want to do that, after discovering trails. Especially searching Google Images. I almost want to be the only one to know where the trails are, and to have snapshots in my mind only, not see any from someone else’s camera. But, it was a cool discovery regardless. We continued on the loop after exiting the woods, and headed back toward town. My plan for this run: assess at 13 miles. I knew I would decide long before that how far I would run. Seventeen was the actual plan, but I thought if I felt awful, I would somehow push it to next week. Around mile 11, I decided I was doing it. I actually said it out loud: “I’m doing it! Seventeen!” And I did. After a quick nuun stop at the car and dropping my running buddy off at his place, I went down to the towpath. Completely overshot the additional mileage and walked about a half mile at the end, but that was nice. Afterthoughts: I definitely wanted to be done when I was done; I was pretty darn tired and I could feel my right hip starting to “click” or something in the last quarter mile (it stopped when I stopped and was fine). My next longest-run-ever is going to take a little more prior hydration, perhaps more hydration on the run, and more sleep. This will not be difficult. The sixteen miler three weeks ago was a little easier at the end, but that was because I prepared better for it, I think. 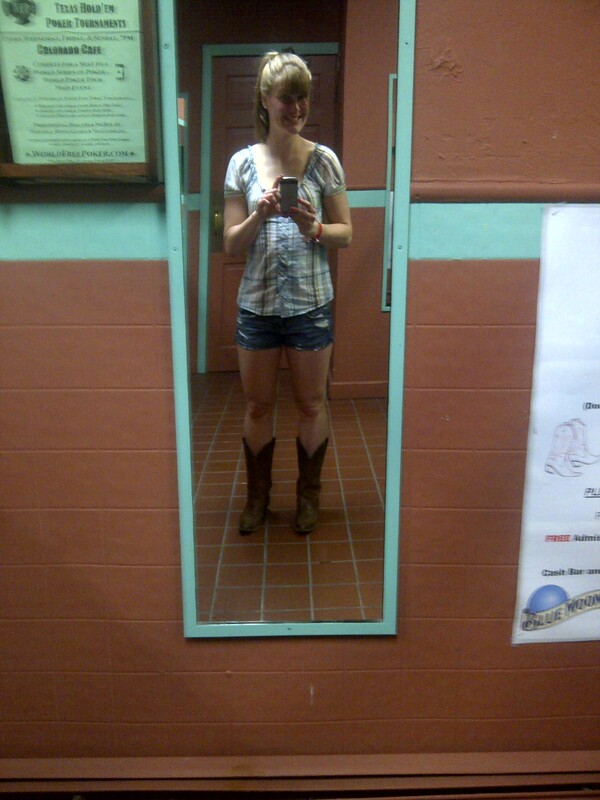 If I can run 17 miles and then go country line dancing, I think I’ll be fine. 🙂 Seriously though, this place needs to start giving out free tap water. All the pictures with Elana are too dark…thanks for the boots, Brennan! 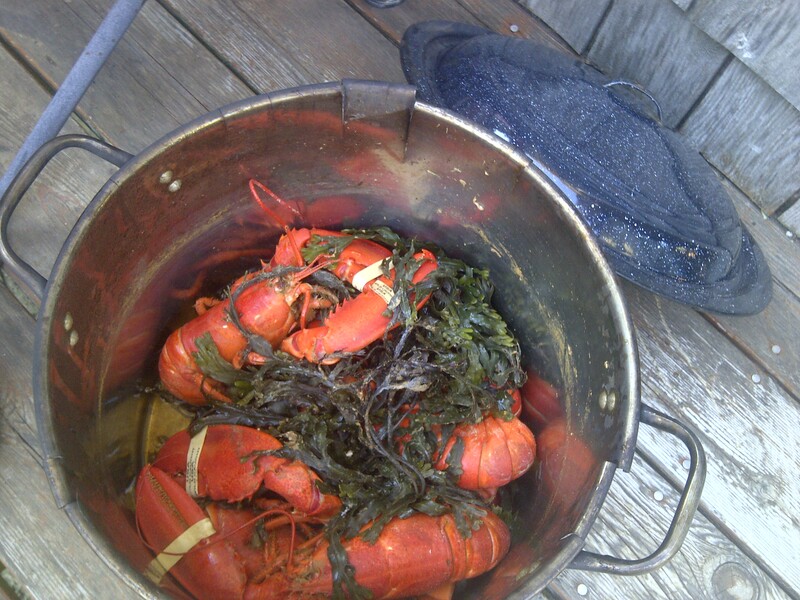 Georgewash style. I had to, unfortunately. 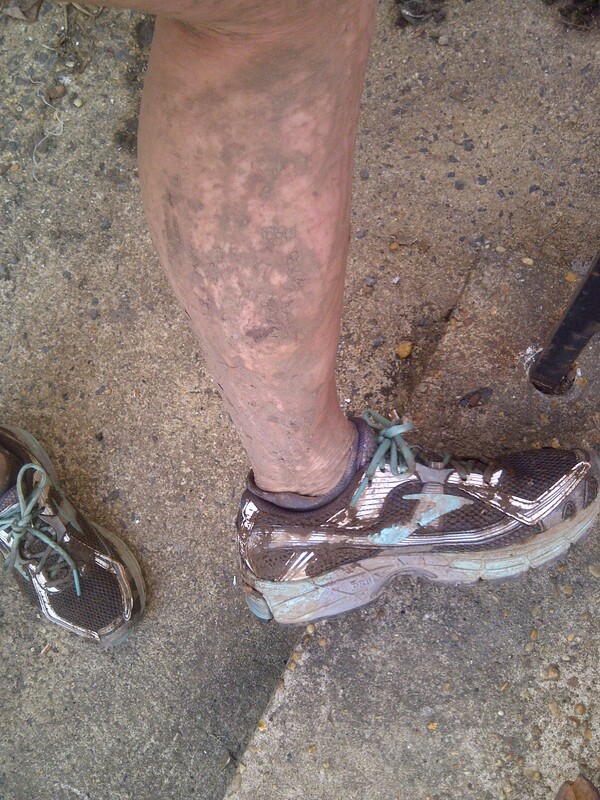 Some people do “mud runs.” As in, actual organized races involving man-made mud and transplanted obstacles. When I race, I race to run fast. Thus, I do not participate in mud runs. I do, however, run in the mud. And it’s awesome. If there isn’t a foot of snow on the ground, or if other people I am running with haven’t planned a run on the road, I’m on the trails. On Friday, we had an unexpected 55 degree day, which melted most of the previous week’s snow and left the trails, well, calling for me. runch (v.) – to take a break from work and run. runch break (n.) – a period of time equal to the length of your desired run during the work day in which you are not at work, but instead in a state of bliss on a road or trail. I headed to my park of choice, my favorite place to runch. As expected, the trails were very muddy. This run was also a test for my Achilles, since I had not run on it since Tuesday’s workout. While I did feel a little tightness at some point, there was no pain, and it’s safe to say I am not as concerned about it as I was Tuesday night. It was 52 minutes of fun, and I enjoyed the warmth to the max. I was in short sleeves and shorts, but could have easily been as sweaty in a tank top – it was awesome. I stretched outside the store upon my return, and got a couple second glances. 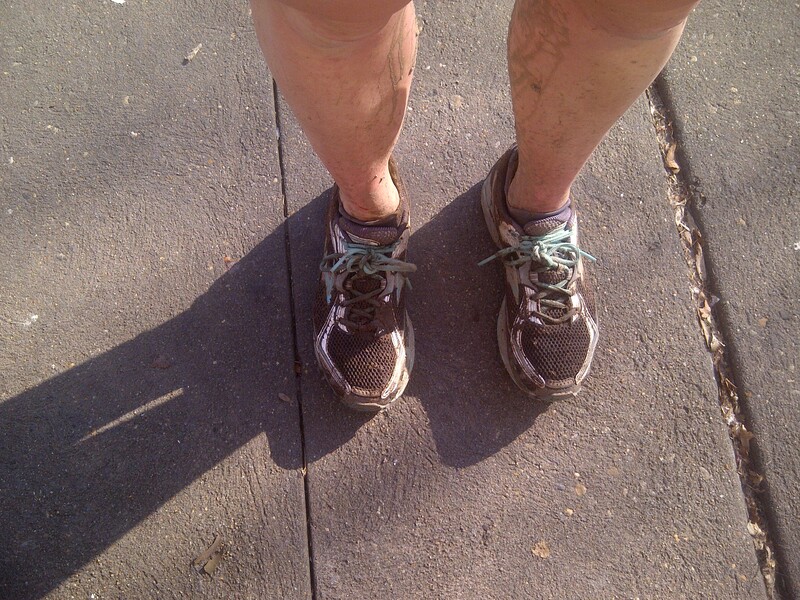 “You’re really muddy,” one guy said, “where were you running?” I told him, and refrained from my signature “you should come buy shoes from me!” line (apparently I don’t exhibit such restraint at the bar…). On Sunday at our post-run brunch (post to come, in the meantime see Brennan’s! ), Martin and I were talking about our separate fun Friday runs in the mud…and we both took pictures of our shoes! How about that! 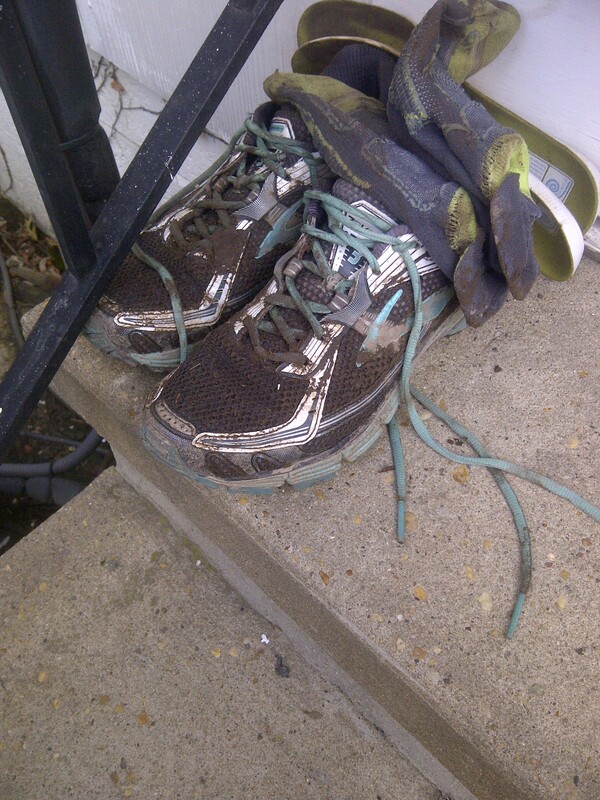 “You have to!” he said, and we laughed for awhile at how runners take pictures of their muddy shoes.